The Centre is located just below St Peter's Church on the junction of Cockett Road and St Peter's Terrace, Swansea. 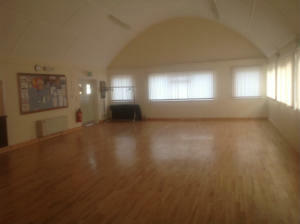 Newly refurbished Centre with double height ceiling and rear outside garden space. 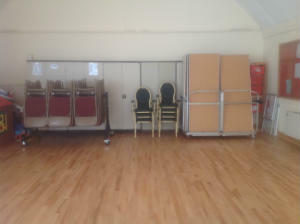 It is available to hire for children's parties (suitable for use of bouncy castles) and other functions and activities. 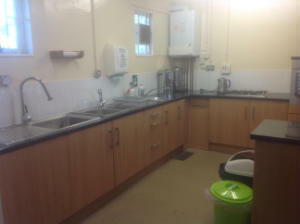 Fully fitted kitchen with cooker and tea & coffee making facilities but no fridge. Toilets including disabled are available within the building. Disabled access ramp to main entrance front of building. There is also ample on road parking available. 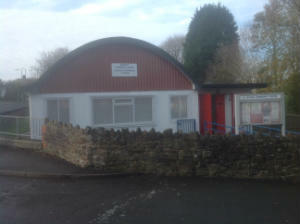 For further information regarding activities or to hire the Centre @ £10 per hour please contact: Caroline Ridler 0n:(01792)-588217 or 07503053839 or Caroline.ridler@hotmail.com.